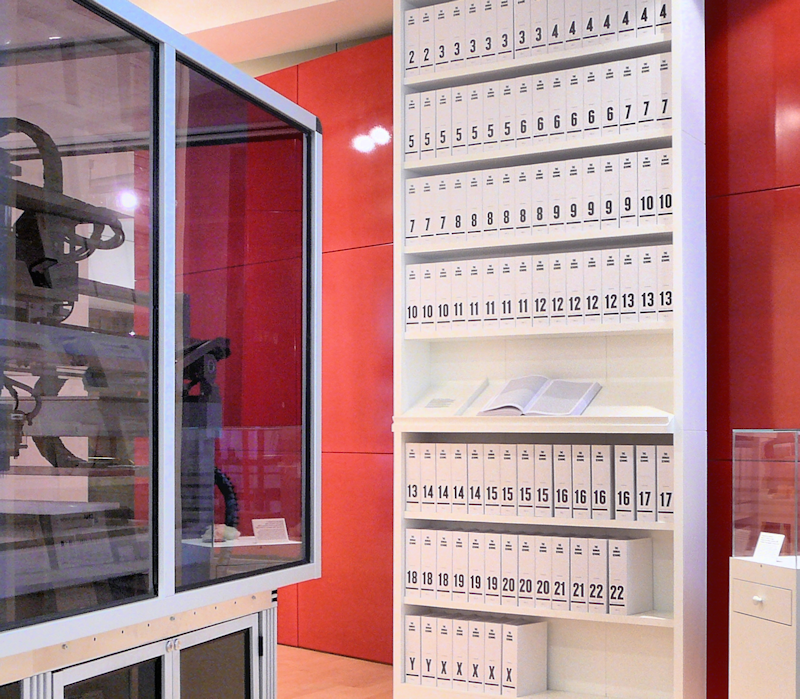 Enlarge / The first printout of the human genome to be presented as a series of books, displayed in the ‘Medicine Now’ room at the Wellcome Collection, London. The current situation, they write, makes it tricky to analyze people whose ancestry is very different from that of the reference genome. Although there are some methods that allow researchers to look at limited amounts of genetic diversity alongside the reference, a more comprehensive solution that’s been gaining traction has been to build population-specific references—a project already underway for certain groups, including Chinese and Ashkenazi. There is no “pan-genome”—no “collection of sequences representing all of the DNA in [a] population,” write lead author Rachel Sherman and her colleagues. It’s been done for bacteria, but not for humans. So they set out to create a pan-genome for Africa, using DNA from 910 people of African descent. The group includes people from the Caribbean and the US, who retain some of Africa’s genetic diversity, even though they have their own distinct genetic history. They compared the DNA from these hundreds of people to the reference genome, looking for long sections that didn’t match. The basic unit of DNA is the base pair, one of the rungs on the twisted ladder that makes up the double helix. Sherman and her colleagues looked for sequences more than 1,000 base pairs long that didn’t match the reference and found a lot of them: nearly 300 million base pairs, which is about 10 percent of the size of the entire reference genome. This has important consequences for medicine—”If you are a scientist looking for genome variations linked to a condition that is more prevalent in a certain population, you’d want to compare the genomes to a reference genome more representative of that population,” says Rachel Sherman. But having this information for Africans now doesn’t tell us much that a scientist researching a given condition would be able to use. The study didn’t explore what’s being done by any of the DNA that wasn’t in the reference genome and can’t say anything about whether it might play a role in health conditions or any other variation. While population-specific genomes might be a useful way forward for studying human variation, they could run into a different set of difficulties when they leave the lab and run into the real world. As demonstrated by the fact that a lot of this DNA also shows up in Koreans, population groupings between humans aren’t neat lines, especially at the DNA level. They have fuzzy boundaries; individuals can have genetic traits from multiple populations; and how someone looks isn’t a reliable guide to their DNA. Complicating matters further, there are multiple populations within Africa that may have distinct genetic histories that we’re just now scratching the surface of. Having a pan-African genome won’t necessarily tell us a lot about what’s distinctive for any individual African. Although genetics researchers understand all of this, any use of population-specific reference genomes in fields such as medicine could come with a new swathe of problems if this messiness isn’t communicated or understood well. Nature Genetics, 2018. DOI: 10.1038/s41588-018-0273-y (About DOIs).